Here at DC Autocare we can offer you over 30 years of experience to deal with all of your automotive requirements. If you need to book your car in with us, simply fill in our online booking form – we will call or email you back to confirm. Craig and Dylan will ensure getting your car serviced and repaired is hassle-free. 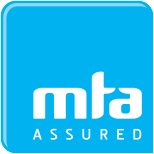 DC Autocare are MTA members. We understand getting your car serviced and repaired is just one more thing to think about, so we endeavour to make it as easy and simple as possible! We offer a full range of vehicle servicing and repairs, timely reminders for when your WOF or service is due and a courtesy car is available if required. We work with you to make the process as simple and easy as possible. As an independently owned business we are able to offer a complete vehicle repair service at highly competitive rates… and we are MTA approved.